Help spread the load when using pole products. Husqvarna's Balance Flex Harness is designed to work with all kinds of pole products, fixing them to the machine with open hooks for simple and easy operation. 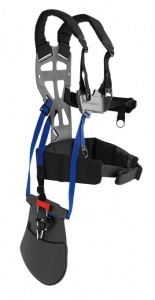 It uses padded shoulder straps to spread the load over both shoulders, while also allowing you to operate your equipment at various heights and angles. Helping to hold and lift the product is a lifting force, while the harness itself gives ideal support when operating pole products in a variety of scenarios, whether high, low, close or far. 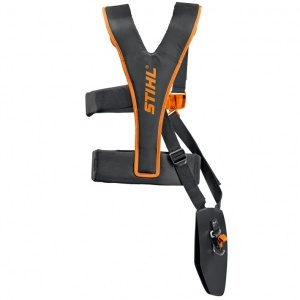 With a wide back plate, wide padded straps and a shock absorbing hip pad, this is an ergonomic harness that helps to spread the weight of equipment across your shoulders, chest and back. Designed to distribute the load between your shoulders, chest and back, this is an ergonomic harness from Husqvarna. Also including a shock-absorbing hip pad, wide, padded straps and a wide back plate. 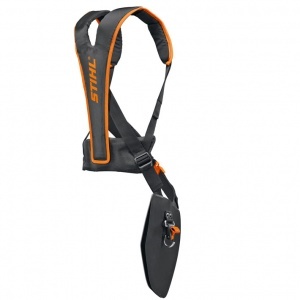 This effective harness distributes the load across a large area for increased comfort and reduced fatigue. Featuring a wide and ventilated back plate with wide shoulder pads, plus a shock absorbing hip pad. 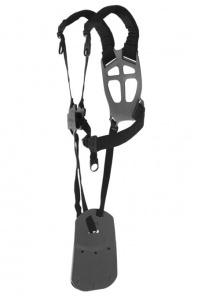 A forestry harness offering excellent freedom of movement thanks to its freely suspended leg protection, and including a quick release system for attaching and removing the clearing saw. For models FS 310 to FS 560. 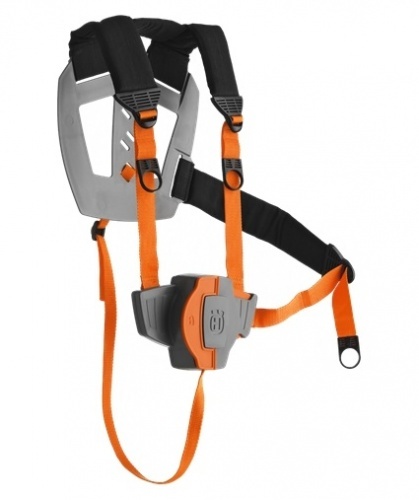 A light and ergonomic harness, this version of the ADVANCE universal harness includes a quick release system for quick connecting and disconnecting of brushcutters. For models FS 50 to FS 560. An ideal addition to reflective clothing, this harness provides highly effective support when mowing in hazardous areas. 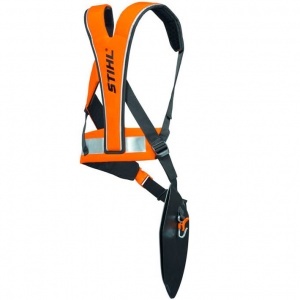 Suitable for STIHL models FS 50 to FS 560.